Description: FREE SHIPPING This Winchester catalog is new old stock and is in new conditon with no rips, missing pages or stains. Original (not a reprint). 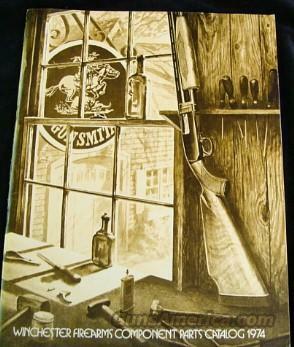 Shows all guns and Winchester parts avaliable in that year, 68 pages. Satisfaction guarnteed. Free Shipping. Cashiers checks or money orders only. Shiping by US post media mail. Priority mail $5.00 You must use priority mail to get insurance.